3 Pc. 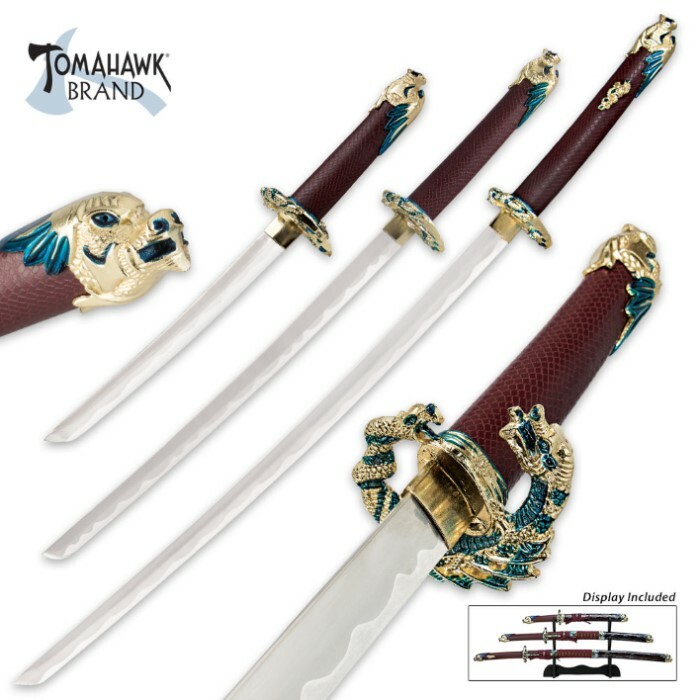 Red Oda Nabunga Samurai Ninja Sword Set | BUDK.com - Knives & Swords At The Lowest Prices! 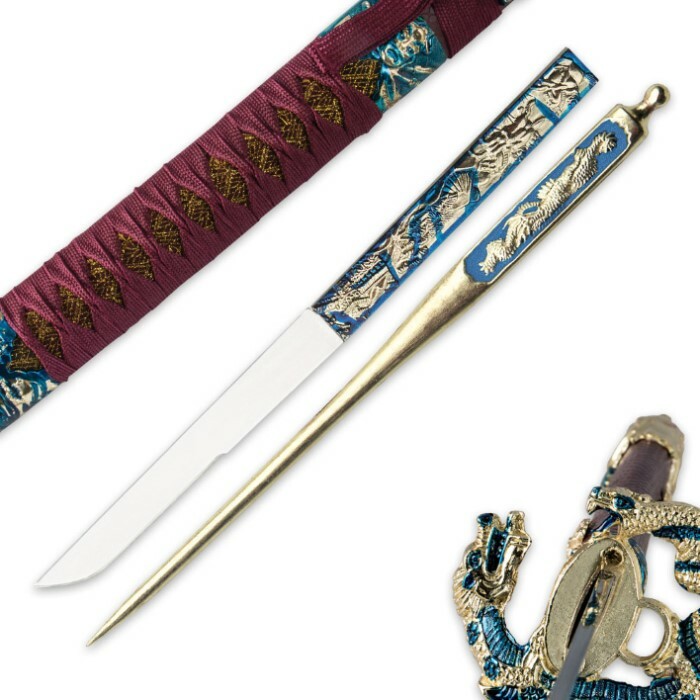 This gorgeous 3 piece Japanese sword set is a superb offering for the serious collector or samurai enthusiast. Each piece is equipped with a stainless steel blade. 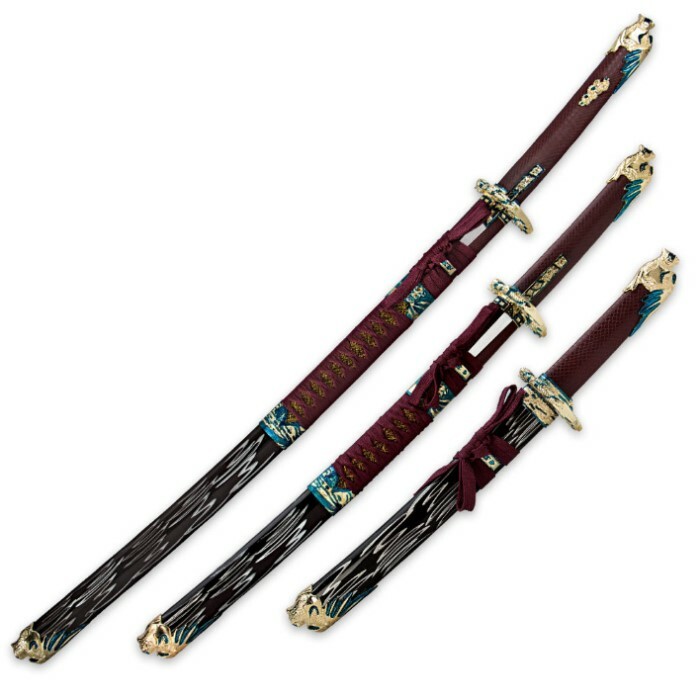 The nylon cord wrapped handles are accented with aluminum tsuba and pommel, and the wood sheaths are adorned with coordinating cord wrapping and furnishings. The finish and paint on the sword was of poor quality and distracts for the overall appearance of the sword.